Bronco6G.com recently spoke to Dan Jones, who handles Bronco communications at Ford. While he understandably could not provide specific details, Dan told us that “the design/engineering development [of the next-gen Bronco] is the most exciting thing I’ve ever seen Ford do to date” and to expect some big developments in the pipeline! We think this is a great sign that Ford is undergoing a serious effort with the 2020 Ford Bronco in the face of early rumors that Ford might just offer up a warmed over and re-branded Ford Everest. Exciting times ahead so stay tuned!! 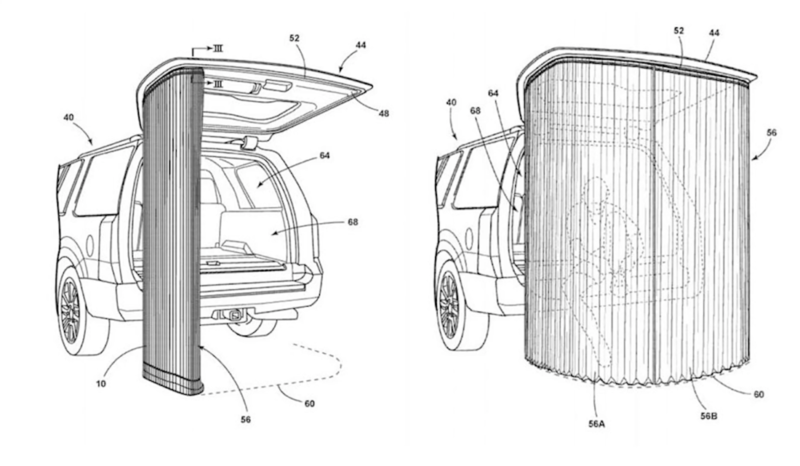 Ford has recently submitted a patent application for a tailgate canopy system intended for use on the open lift gate of an SUV. The patent application describes the system as a track integrated into the rear lift gate of an SUV. The track can be use used to hang canopy material for privacy, or to connect the end of an overhead canopy supported on the other side by extendable poles. The canopy material is waterproof and also constructed from phosphorescent material that can be illuminated by lighting elements embedded in the lift gate. During its first quarter 2018 earnings release, Ford Motor Company reconfirmed that it will offer a hybridized version of the next-generation Ford Bronco. It’s still unclear what form the hybrid powertrain will take and how long after it would follow the 2020 Ford Bronco, but plans could very well be accelerated after the company made the surprise announcement that it will only produce two passenger cars in North America by 2020. Ford recently confirmed that the 2020/2021 Ford Bronco will be coming in both 2 and 4 door models, but we’ve yet to see a 2-door Bronco rendering until now. 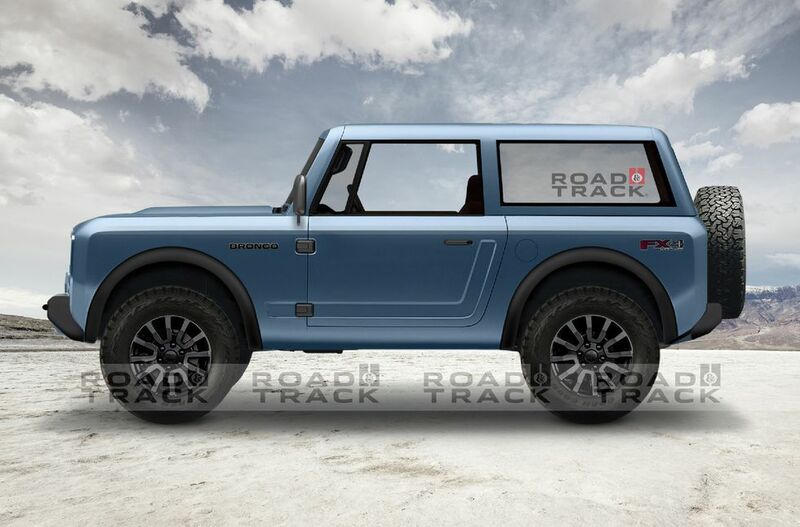 Even better is that this Bronco render previews what a convertible top would look like, a feature which has not yet been confirmed nor denied by Ford. What do you think of this look? Let us know inside! What 2020 Ford Bronco design lurks under the tarp in the official teaser? 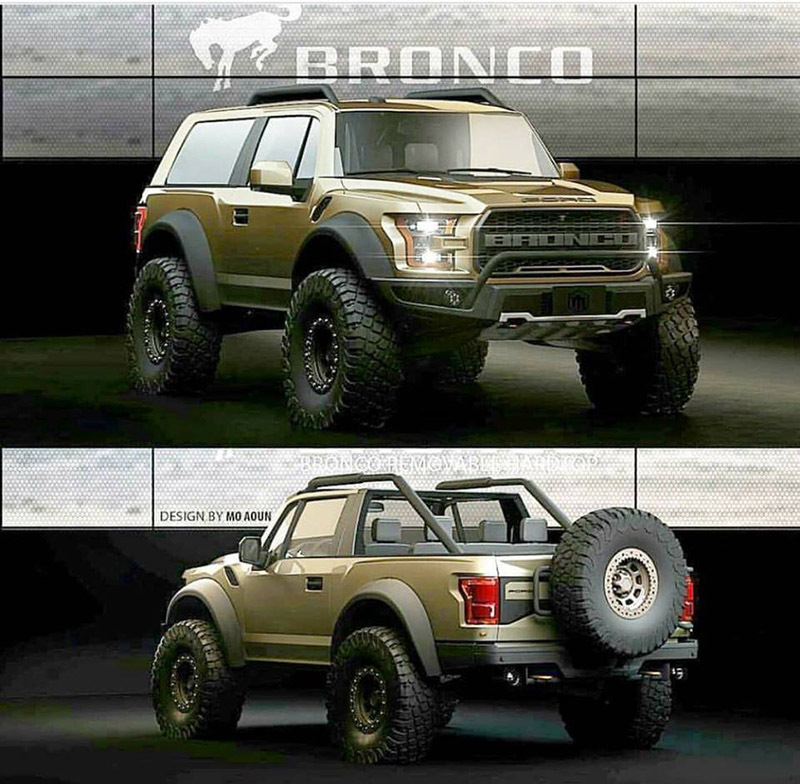 These Bronco renderings attempt to digitally preview the design to us. 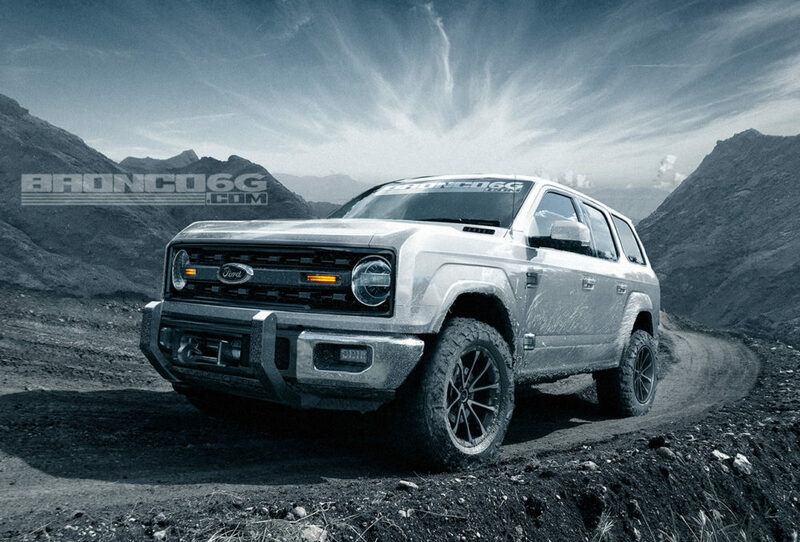 Starting with Ford’s teaser image, digital artist Michael Clark then incorporated the 2004 Bronco concept in coming up with this set of preview renderings. See the full set inside and let us know how you like it! The 2021 Ford Bronco has been officially teased in new renderings issued by Ford Motor Company today! 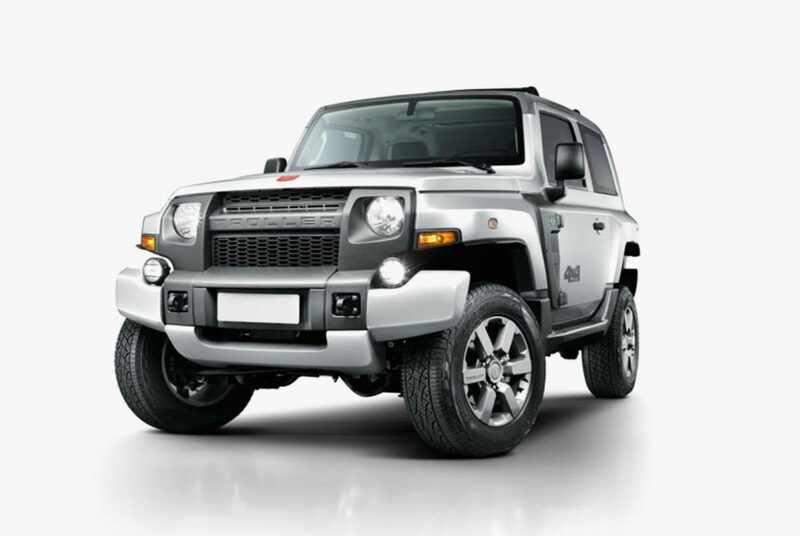 The boxy silhouette of the next Bronco is shown underneath a mud-splashed cover of what appears to be a 2-door version with a rear-mounted spare tire. 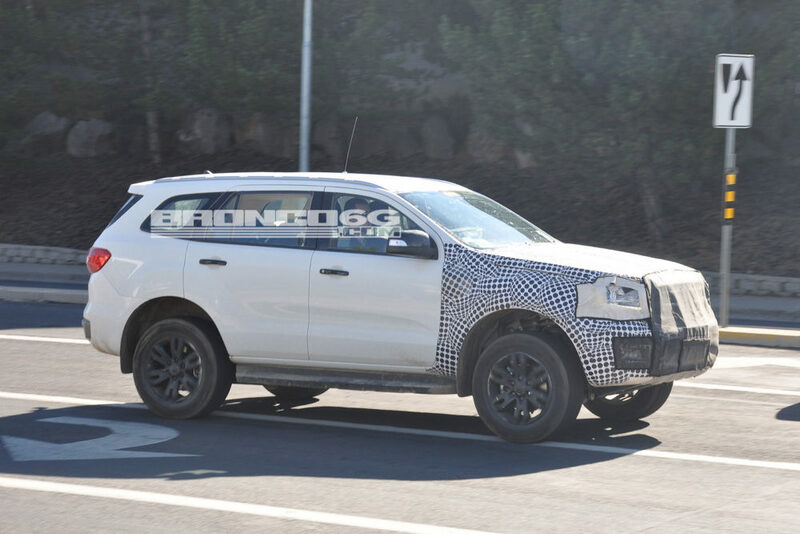 Our photographers have caught what could be the very first shots of an early mule using a Ford Everest body to test the upcoming 2021 Ford Bronco! By popular demand, following all the positive feedback from our first 2020 Ford Bronco concept renderings we are excited to share our rendition of a 4-door version of our Bronco rendering to show off the front/rear view and a peek at the expected new “Air Roof” feature.